Shockingly it’s September 15th, this is my first post of the month and I don’t know which is worse – the fact that I’ve not posted anything or the fact that two weeks seem to have slipped without me noticing…time must have sped up surely? I’ve been feeling the urge to play with sheet metal of late and this autumnal pair feature leaves from my first attempt at fold forming – heat and hammer is a very satisfying combination I must say. The lampwork beads are by Caroline Rhodes. 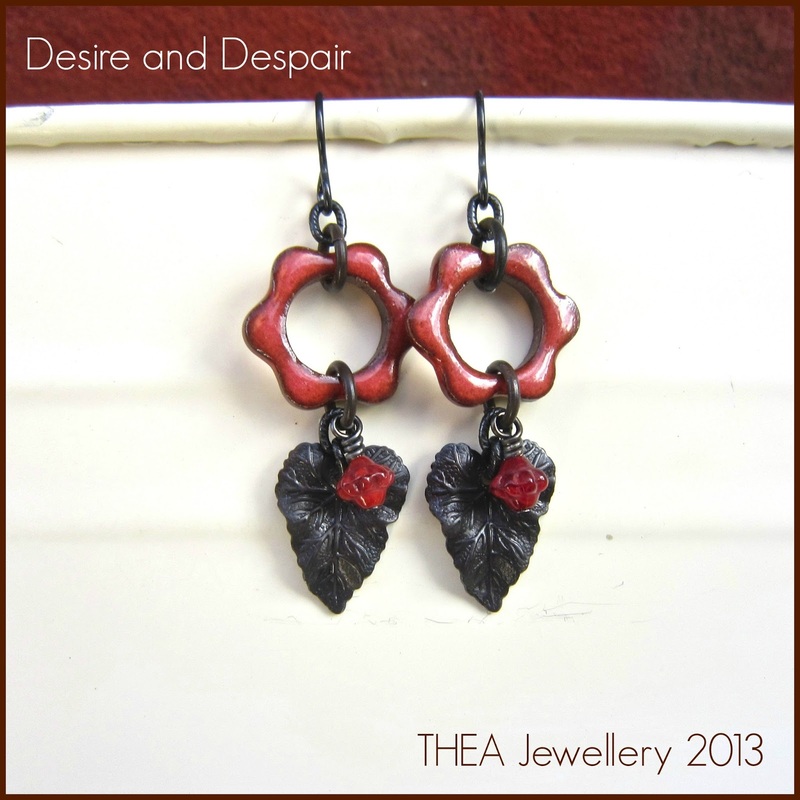 I love red and black together as the contrast is always very striking so for this pair I teamed the lovely ceramic flowers from Karen Totten with ‘Fallen Angel’ black brass and some tiny Czech glass beads. The name was inspired by the lyrics of the song ‘Red and Black‘ from Les Miserables. 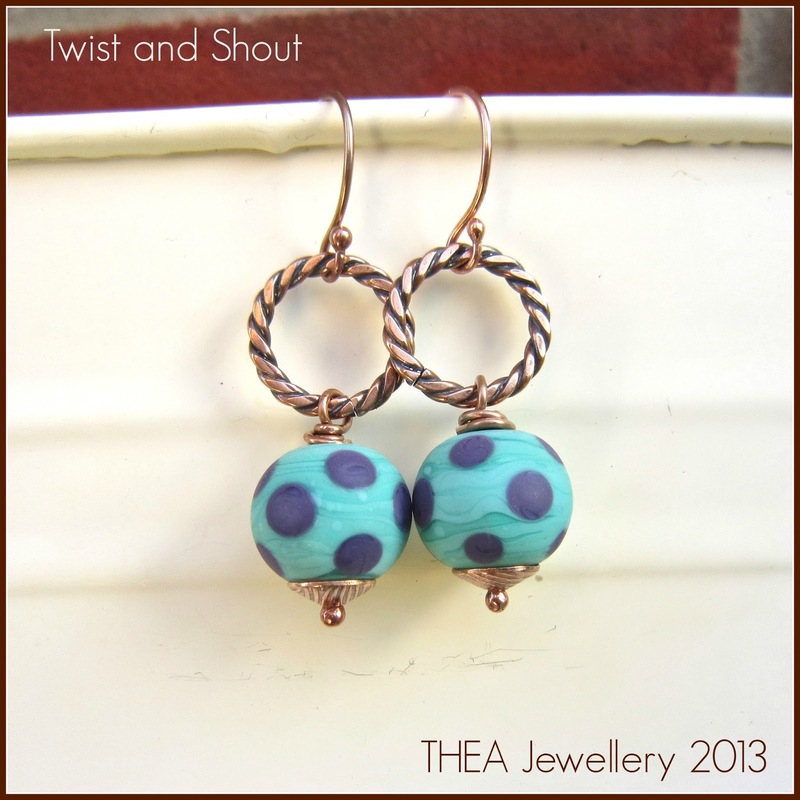 This final pair are just full of fun with the lovely polka dot etched lampwork beads by Kaz Baildon dressed up with some handmade twisted bronze rings and bead caps by Lisa Quinn and my own bronze ear wires. All earrings will be listed in my Etsy shop shortly but feel free to contact me if interested. 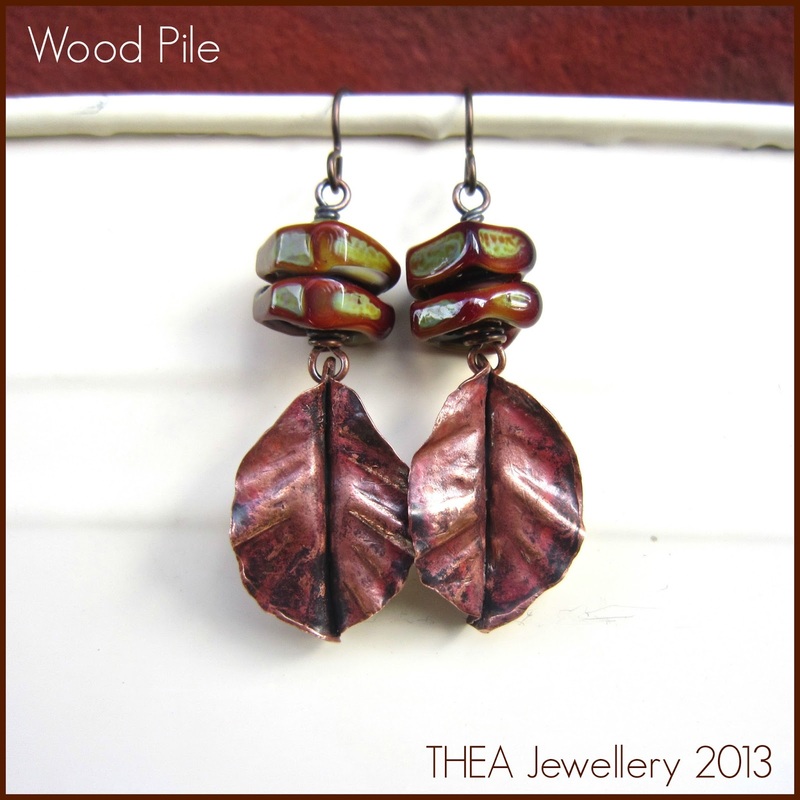 You can check out what the other challenge participants have been making by visiting the AJE Earring Challenge Pinterest page and you can also see who is blogging about there designs on today’s AJE Blog post.